Chris Webb is independent consultant specialising in Analysis Services, MDX, Power Pivot, DAX, Power Query and Power BI in general. He has been blogging about Microsoft BI for over 10 years, and racked up over 1000 posts on his blog! 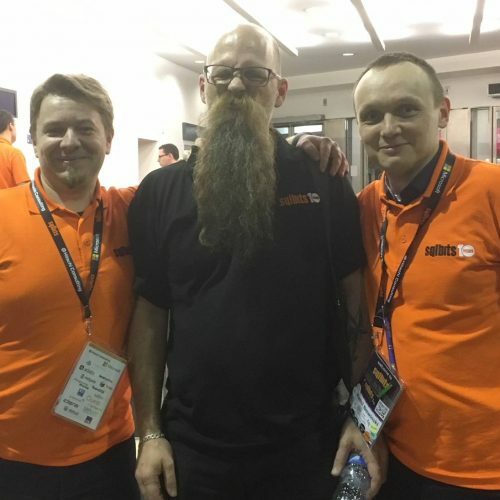 Also he speaks at a number of conferences including SQLBits, the PASS Summit, the PASS BA Conference, SQL Saturdays and user groups. The author of “Power Query for Power BI and Excel”, a co-author of few other books and also he co-authored the white paper “Planning a Power BI Enterprise Deployment” for Microsoft. This talk has taken place during Data Relay (formerly SQL Relay) conference in Birmingham (UK), on 10th October 2018 (Wednesday). 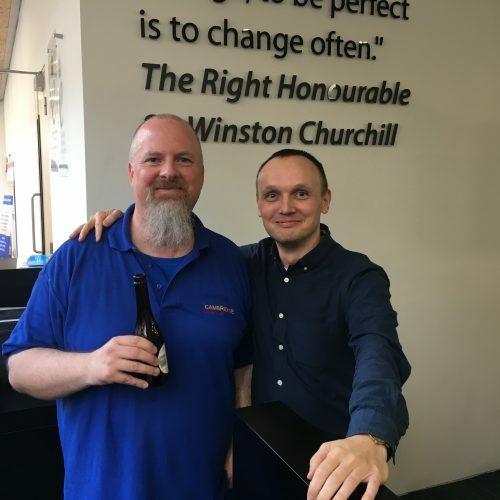 How did Chris Webb start working with SSAS? What is the future of SSAS On-Premise? How often the Direct Query has chance to being used in Power BI? What was the story of the beginnings of Chris’ consultancy company? Check these things and much more in this episode. Kamil Nowinski: Hi Chris. We are sitting in this fantastic venue I think, during Data Relay right now. Chris Webb: Yes, it’s difficult to say. I keep wanting to call it SQL Relay but it’s Data Relay. Absolutely, yeah, so you just finished your session. Your 55-minute session about M language, yes? Yes, the difficult thing about doing sessions that are 55 minutes is that I naturally think in one-hour sessions so there were about two slides at the end that I was able to very skillfully cut out at the last minute. But anything that isn’t an exact hour session if you’re a kind of experienced speaker is very, very off-putting. But you manage it anyway. It’s not a massive problem. Screen and ant. I mean… speaker. Yeah, exactly. So how did you feel at that room, at that screen it was a very big screen. We are in the cinema, yeah? Yeah, I know, to be honest I’m surprised that more events don’t take place at cinemas. I’ve done a few and having that big screen as an attendee is really amazing. I’m a heavy user of ZoomIt and actually I still want to use ZoomIt to point things out but actually you don’t even need ZoomIt because everything is so big. And for an attendee also the comfortable seats, the decent acoustics, it makes a massive difference. The one thing I would say, though, is a presenter having a big screen makes it actually a little bit more difficult because occasionally I want to see what is on the screen, not on my laptop screen. So you extend the screen? No, I duplicate, but if I’m standing out at the front, I might look back to see what’s on screen and actually you can’t see. And also it’s kind of nice to see whether the attendees can actually see the thing you’re pointing out. And from the big screen… I couldn’t actually see anything that was on the on the big screen cause I was too close to it. But those are kind of minor things. From an attendee’s point of view having a gigantic screen is absolutely amazing. And you know, it worked so well. And they’re great venues as well. It’s the best I’ve ever seen, so far at least. So I attached to this blog post the picture I took during your session, so the readers will be able to see how big the screen was. OK, let’s go back to the beginning. Could you tell me what your name is and where you live? So, my name is Chris Webb, I live in the UK, just northwest of London, in a small town called Amersham. I’m a consultant and trainer. I’m kind of self-employed. I’m a one-man company and I travel all around the UK and Europe doing training consultancy, mostly nowadays on Power BI. In the past more Analysis Services. When I first started out, I was a purely Analysis Services Multidimensional person, and then Tabular and Power Pivot and Power BI came along so I moved with the times. Yeah, I saved this question for later but when we’re talking about SSAS, I saw this tweet from you that you’ve started basically at the beginning of SSAS, when it appeared, it was almost 20 years. 1998. Obviously I was very, very, very young in 1998. But yeah, it was kind of in my very first IT job, I was doing VB6 programming and then I got put on a project where we were evaluating OLAP services at the beta stage. So I was working for a company who’d actually already got lots of experience with various different OLAP tools, built their own OLAP tools for delivering data, and they were very sophisticated. They had lots of very complex requirements. So as a result, we spend a long time evaluating OLAP services, learning it, learning how to recreate lots of complex calculations which is how I learned MDX. And then once I’d done, I suddenly realised: “hey, now I know MDX and OLAP services,” which then became Analysis Services, which then became very, very popular. And that’s been my career pretty much ever since. So you started learning MDX from the beginning basically. So you are an expert in that language. Back with the first betas. And it’s surprising how little things have changed. The fundamentals of the language are basically the same as they were 20 years ago. It’s not very fashionable anymore. Now everybody’s into Dax, M, and Python, and all of the other cool things. But even though I spend the majority of my time doing Power BI, I still reckon I spend about 20-30 percent of my time doing Analysis Services Multidimensional and MDX stuff. Let’s focus on that one and repeat, as you mentioned, you have your own consultancy company. What do you do for a living exactly? What do you do in this company? You mentioned that you’re trained a lot of workers. I’m a one-man band. I don’t do long contracts. The longest I’ll ever spend with a customer at a time is about 5 days. And probably on average my average engagement is about 2 days I would say. And literally, people contact me and say: “hey, Chris, I’ve got a problem with Power BI or Analysis Services” or “I’ve got a shopping list of problems, can you come in for a day or two and we can work through them and even tell me the answer?” So I don’t build stuff for people. I come in and kind of help them build stuff. And at the same time people will say: “oh, you know, we need some Power BI training or Analysis Services training for the team, can you come in and run a private course and cover these subjects?” So I do kind of a customised private training courses for people as well. And there’s a lot of overlap. Sometimes the consultancy I do turns into training because if you’re explaining how to solve a problem, you’ve got to explain the concept. So you’re covering SSAS, Tabular, Multidimensional, Power BI, M language, did I miss something? Well, I suppose I do Excel and Power Pivot and Power Query and things like that. And now that Power Query is being included in Flow, maybe I’ll do a bit of Flow. But I wouldn’t paint myself as a Flow expert by any means. But yeah, anything where that basic Analysis Services engine and the Power Query engine is being used, I’ll go there and work. Does it look promising? I mean the M language in, sorry, Power Query and M language in Microsoft Flow? Yeah, I mean I think there’s gonna be all kinds of fun things you can do with it. I mean, at the moment it’s very, very limited. At the moment the Power Query integration is limited to SQL Server data sources, so you can connect to a SQL Server database, generate a name query, get some data out, and then do whatever you can do in Flow. So I wrote a blog post recently where it showed how you could run a query and then save it as a CSV file in OneDrive for Business. And actually a lot of people want to do that kind of thing. I’ve seen numerous times situations where people basically want to use Power Query in Excel or Power Query in Power BI Desktop to just do one of those kind of standard CSV data dumps, because they need a CSV file for some other system. And actually doing this in flow makes an awful lot more sense because you can save directly to the CSV file and you can set it to run on a schedule. It’s completely easy, without any line of code. What do you think, what is the future of typical SSAS Multidimensional or Tabular model? You ask more controversial questions, don’t you? OK, so in the near future, and I can say this because Amir Netz [T] said it on Twitter, Multidimensional will be going to the cloud. Now, the way things are at the moment we have Power BI and we have Azure Analysis Services. And based on the announcements that have been made at Ignite recently, Azure Analysis Services is not necessarily going away, but it looks like all of the interesting stuff is being put into Power BI Premium. From a technical point of view, there isn’t really that much difference between Azure Analysis Services and the engine behind Power BI Premium. So from Microsoft’s point of view, I can see why it’s a bit stupid really to have Power BI Premium and Azure Analysis Services, and why it makes a lot more sense to simplify the story and just say “we’ll just consolidate with Power BI Premium.” It’s also clear that more and more features are being added about Power BI Premium. It looks like Power BI Premium is basically going to be the kind of one-stop shop, where an enterprise can pay a set amount of money a month and get a full stack Microsoft BI implementation. Because we’re getting reporting services in the cloud as a feature of Power BI Premium, and I would guess that when Analysis Services Multidimensional comes to the cloud, it will come as a feature of Power BI Premium. That doesn’t necessarily mean all these features will always be limited to Power BI Premium. The way I understand it, for technical reasons it’s easier to put them in Premium first and then eventually these features will be coming to Pro in some shape or form. But it seems like if you’re an enterprise anyway, you would want to buy Premium for various other reasons as well. So I guess that’s where things are going. I mean we’ve had 20 years of Analysis Services and it’s still very, very strong and healthy as a platform. It’s just that nowadays it’s kind of hidden inside Power BI rather than its own branded thing so much. But you know the Analysis Services dev team still do an amazing work. Microsoft is still very, very serious about it. It’s just now people don’t even know it’s Analysis Services. Yeah, true, exactly. They basically don’t know what is there behind the scenes. I’m observing that more and more companies are interested in Power BI or trying to adopt the Power BI in their enterprise. How does it look from your perspective? From my point of view, it’s absolutely crazy. I’ve never seen any Microsoft product that I’ve worked with become so popular as Power BI. Now, Power BI has obviously been around in lots of different shapes and forms for many years. It’s really since it got rebooted, what, 3 years ago in the shape and form that it is today, with Power BI Desktop and the separate Power BI service, that was the point where everything really kicked off. And, since then, the number of companies that I’ve seen who were just adopting Power BI, partly because of the price, because it’s cost-effective, partly because it’s native cloud which is also great, has obviously lots of advantages, and partly because it’s a really good BI platform. Exactly. I think for people who’ve worked in the Microsoft space, we’ve all been used to Microsoft in the past wasting its money on crazy stuff like the Zune or buying Nokia, which obviously did it no good whatsoever. And then the products that we were actually working with, people were buying, never seem to have quite enough love or money spent on them. I guess now, in the age of Satya Nadella [T], sanity has returned. Microsoft is spending its vast amounts of money on Power BI and, as a result, Power BI is just growing and growing and getting better and better at an amazing rate. And the end result is customers see this, they love what they’ve got and they just want to buy, buy, buy. I mean, in a way, there’s actually a real downside to this in that Power BI is moving so quickly. If you’re a somebody who works with Power BI like me, you just end up being completely overwhelmed. Every month, every week, there is something new, some substantial new feature to learn. And you just can’t keep up. You feel like you go away on a holiday for a month and suddenly the world is completely changed, and you’ve been left behind. It can be a little bit stressful trying to keep up with the massive pace of change. Every month the Power BI team publish a new post about the last month’s changes, yes? Yeah. I think it’s interesting to go back to 20 years ago, I can still remember around the year 2000, that was the point where there were still people who could claim to be complete SQL Server platform experts. They knew everything there was about every single aspect of SQL Server. But then after that, especially with SQL Server 2005, the world split into people who knew the Relational Engine, people who knew Analysis Services, people who knew Integration Services – you couldn’t possibly be an expert on everything. And I think actually Power BI is getting like that. It’s getting so big and so rich and mature that there will be… I mean already, you see Marco and Alberto who are the DAX and Modelling experts. I would like to think that if somebody was looking for help with Power Query and M, they might come to me. There are going to be people who are experts on different bits of Power BI. Nobody is going to be great about the whole thing. So you were even thinking about Power BI only, I was thinking about other areas like, you know, currently SQL engine it’s not only SQL engine. Like you mentioned previously, we still have Integration Services, Reporting Services. But now we have even more in Azure, like Azure Data Factory, Data Lake, Data Bricks and etc. There’s so much new things that you need to get and understand. Exactly. And I think basic Power BI is a skill that anyone can learn. I mean, anybody with an IT background will be able to pick up Power BI very easily. That’s the point of it almost, it’s meant for non-IT users and that’s definitely true. But for people who want to be Power BI experts, there’s just more in Power BI than any one person I think can ever truly learn, or be good at. In terms of Power BI and very popular DevOps approach, how can customers adopt DevOps for Power BI report deployment, and why they still can’t do that? I mean the story about managing Power BI report deployments is not good. The good thing is that Microsoft knows and understands that this is a problem and they are working on the solution. So, for example, again in the last month, what we’ve seen is… there’s a very well-known tool called BISM Normalizer that Analysis Services Tabular developers have used for a long time. That has now been converted for use with Power BI. Mac software, who do lots of custom visuals of Power BI, I think have been recruited by Microsoft and have created a version of BISM Normalizer that works with Power BI, so we’ll be able to do, for example, partial deployments and compares and things like that. Also, something else that has been worked on quite a lot within the private Power BI team are all the PowerShell cmdlets for Power BI which will allow us to move different Power BI components like reports and datasets from one workspace to another, so the story is getting better and better. I wouldn’t say that it’s there yet, and I would also say that a lot of these tools are probably a bit too technical for the average Power BI user to ever use. But again, if you’re thinking about an enterprise Power BI deployment, there will always be some IT department involvement and they can set up the processes with these new tools, that will actually give you some control over versions, reports and things like that. Okay, cool. How often do you use Direct Query in Power BI projects for your customers? Look quite fine if I have only one or two steps in the editor. Exactly. But then of course you find out that actually they’ve got these complicated reports with 20 different visualisations on a page, with slices and things, and then they click on a slicer – 20 different queries, more than 20 different queries get run. And oh look, we’ve got hundreds of reports and these are basically all kind of ad-hoc queries, how can you tune all of these different queries? For example, can you promise that Power BI is going to generate the most optimal SQL query in the first place? No. No tool would ever do that. It’s good, it’s useful in real-time scenarios, it’s useful when you’ve got very large amounts of data. It’s not the answer to all things for everybody that some people initially think. Composite models, a new feature where you can mix Direct Query mode and import – that is obviously going to make Direct Query a lot more useful, as is the new aggregations feature as well. Exactly, so we are talking about the aggregation feature that Microsoft introduced. It’s a very powerful feature in Power BI. You can keep the aggregated data. We can go back again to 1998 where Analysis Services Multidimensional had aggregations to speed things up. Finally, Power BI and Analysis Services Tabular has got the same things. I mean, to be fair, actually aggregations in Power BI is a bit more like HOLAP, rather than ROLAP in Analysis Services Multidimensional. And actually, if you ever used whole app in Multidimensional, you realise that there were some fundamental flaws with how it was implemented, which meant that it was totally, completely useless and the same flaws have been understood and avoided by Microsoft, so aggregations and composite models are a lot more useful. And the implementation is just fundamentally better than ROLAP and HOLAP was in Multidimentional. But currently, you can have Direct Query to show the detailed version of the data set, yes? Exactly. So I think it’s a very, very exciting development for people who are working with large amounts of data. When I first saw it, I just thought that this future revolutionised the capabilities in Power BI, so it’s quite a new feature. 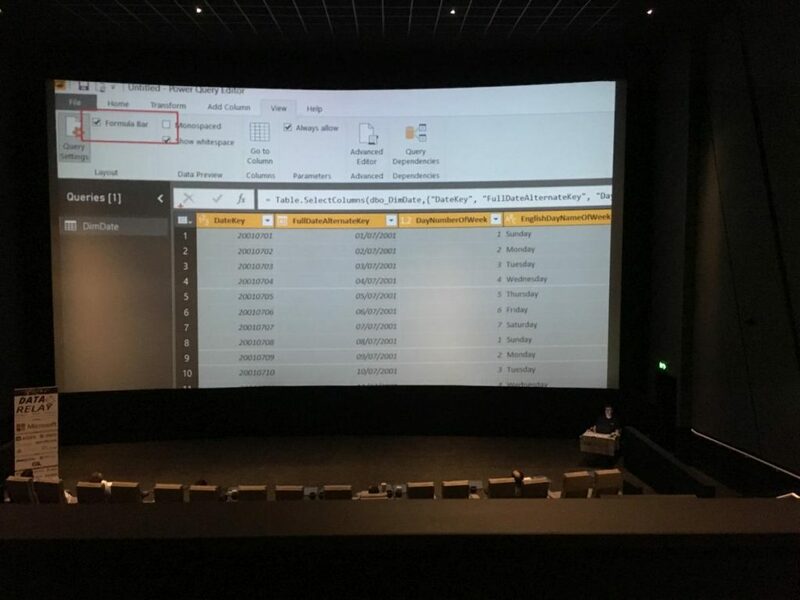 Okay, quite recently during the local group in London, you presented Q&A in Power BI. What’s new has appeared in that area? Q&A is one of those features that actually for years, for most of my time working with Power BI, I was a bit contentious of it. I just thought it was a bit of a demo feature and then, in the last couple of months some new features got added, which actually made me stop and think again that maybe Q&A was worth a closer look, or worth me looking at again. So the first thing that happened was… one of the problems I’d always had with QA was not the feature, but where it was surfaced. There’s been a lot of confusion in Power BI about workspaces and who’s building what, where, and actually the ways that Q&A was surfaced and made available to the end-user meant that actually they weren’t really places that the end user would actually really want to use Q&A. Whereas in the last six months, we suddenly got to be able to drop a Q&A button on a report, so a user who is viewing a report and then thinks “I want to find out some more about that data,” would be able to click the button, type a question and then see a visualisation that answers their question, which for the first time I think is actually a sensible way of exposing Q&A. So it’s kind useful for end-users now in that respect. And then the second thing that happened was that we’ve got the ability to edit the linguistic schema. Now, this looks horrendously complicated and it is, but as soon as you look at it, you realise that it does really extend the possibilities of Q&A and means that a lot more end-user questions can be answered in a meaningful way. It’s quite a technical job to do, but then again as an IT consultant, I always like that the more technical, difficult things, because if they’re difficult, then my customers will probably need help with them and I can sell some training and consultancy to them to help them through it. That’s suddenly really extended the capabilities of Q&A. And so put those two things together, I suddenly thought “actually maybe I shouldn’t dismiss it, maybe it needs a closer look.” The more I looked at it, the more I was actually very, very impressed by it. So I hope Microsoft still keep investing in it. They’ve been investing in it for a long, long time now. It would be a shame if they lost interest now, it’s suddenly properly useful and I would say, for anybody that’s working with Power BI in enterprise environment, it probably is now worth your while spending maybe a day just tuning your Power BI data set for Q&A, maybe creating a separate data set for Q&A as well, which is specifically tuned, and then giving it to some of your end users and seeing whether they get any value from it. Because now I’ve got a suspicion that they might well do. I’ve seen this session as I mentioned, but I’m just wondering if you published that session or will you present that session somewhere or can we find it recorded? I don’t think it’s recorded anywhere. I’ve only done it twice now, so I do a lot of conferences and user groups and every six months or so, I sit down and think “oh, now everybody’s seen all my previous sessions, I’ve got to write a new session.” And it’s generally about the cool, new thing or something that I’m interested in and it’s just that this autumn I suddenly thought “well it’s time to do a session on Q&A.” So it will probably be coming to a user group somewhere near you. But I think it works quite nicely as a session, it’s an interesting subject, and there’s a surprising amount of technical depth there. The second part of the set of questions, less technical. What hints would you give to young people, who wanted to start working on the IT market? In IT in general? It’s an interesting question. Or maybe in Power BI market if you would like to be more specific. That’s probably a better question for me to answer. It does come back down to those fundamental questions of do you get an academic education, or do you go out and get real-world experience, and ultimately, you probably need a little bit of both. I think really what you need is enthusiasm and to be interested in what you’re doing, passion. Because with IT, however much formal education you get, either from university, or from training on the job, or if you’re lucky enough to have a mentor or somebody to help you, the real way that you learn anything is just working on your own and playing around with things. And I think if you’ve got passion, if you’re interested, if you’ve found something that you’re interested in, you’ll just naturally just want to open up your PC, start playing with it, start doing some fun stuff and that’s the way you learn. That’s the way I learn anyway. Quite often I’ll find myself in an evening or a weekend thinking about something, or I find some particularly interesting data and I think “wow I’d really like to do a Power BI report on that.” And as soon as you do that, it not only helps you learn new skills, it helps you consolidate things that you already think you know, but maybe you don’t know very well. So it’s practice, practice, practice, that’s what you need to get going in IT. I would also say, we’re at Data Relay at the moment, you get a lot of benefit from coming to community events and talking to people. In a lot of IT jobs, even if you’re not the only person in the IT department, you might be the only person in the IT department who does what you do. Thinking about Power BI, there might only be one person in the company who knows about Power BI and you’re the reporting guy, that means that you can’t really learn a lot from your colleagues about what you do. 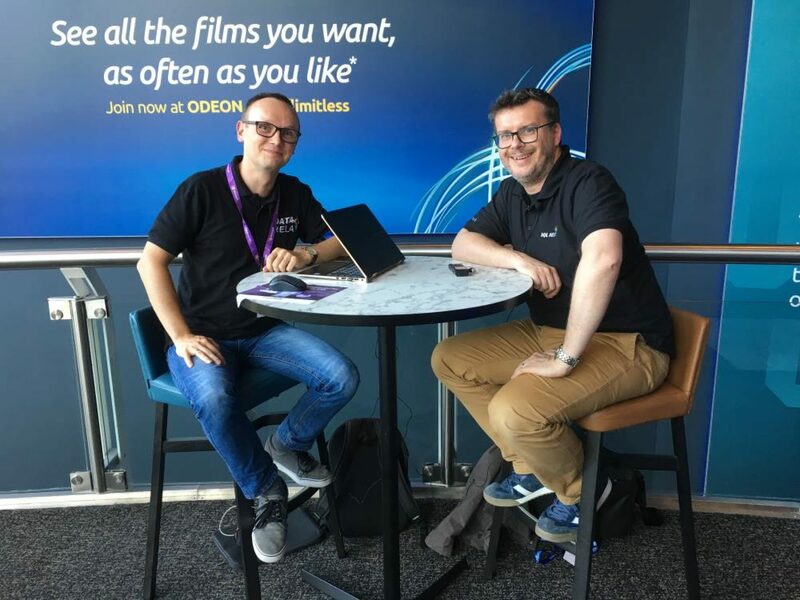 As a result, just the ability to meet people who do the same job as you do in other companies, that’s going to be really invaluable from a learning point of view, I think. What do you think, what are the benefits from the community if you’re talking to the people and that kind of event like this? Well, I mean, obviously you get lots of free training from great speakers and I saw some really good sessions today about things that are kind of relevant to what I do, but which I don’t really know anything about. So I learned about Temporal Tables, learned about Azure Data Factory. These are things that I know exist, but having sat down and watched a really good speaker explain them me for an hour, I feel actually a lot more confidence that I understand what is going on. So the sessions themselves are very good, but also it’s just meeting people, networking, hanging around, those chats before and after sessions over lunch, that’s the really important thing. And also, let’s face it – anybody in IT – you’ll learn only so much in one job, you really learn by going from job to job every couple of years, getting new challenges, new experiences, meeting new colleagues. And the best way, I think, of getting a new job and progressing in your career, is to network, and events like Data Relay are a great place to network. It’s where you meet people in your area who do the same thing as you do, who might have a job going and that’s how you can move up on a salary grade, learn some new technology, learn a new business, see some new data and so on. I think the same. If you stay at the same company for too many years, basically your career will not develop, yeah? Yeah, exactly. I think, I’ve heard people say that anybody with 20 years IT experience in one company on their CV ends up having actually had two years of IT experience and then eighteen years of doing the same old thing over and over again, not learning anything new. What do you think about MVP those days? The Microsoft MVP programme? I’ve been an MVP now for 12 years and I am continually very, very grateful for it. It gives me lots of great benefits like free Azure credits, secret access to NDA materials, which helps me a lot. I think also from a Microsoft point of view, it’s a genius idea by Microsoft to create the MVP programme, because it means that it incentivises people like me to come out and speak at conferences. I mean, I would probably do this anyway if I wasn’t an MVP because it’s something I enjoy doing and to be cynical, it’s a good place to meet customers and network. But this is, let’s face it, a whole load of people giving up their time for free to do marketing and community work for Microsoft and if you think about how much the MVP programme costs Microsoft and how much good it does Microsoft, not just in selling Microsoft products, but making people more successful with what they do with those Microsoft products, which, to be honest, is what really sells the product is the last successful project that sells the Microsoft licenses for the next project. That is absolutely incredibly beneficial for Microsoft and Microsoft has understood this for a long time and it runs the programme very, very well. I’m very grateful for what it gives me, but I am full of admiration for how Microsoft uses it for everybody’s benefit. It’s not like anybody’s being exploited, everybody’s winning from this. I’m winning, Microsoft’s winning, the people here are winning. It’s a virtuous circle, so do more of it. And this year, I’m not sure if for the whole world, but at least in the UK, a lot of people have not been rewarded, yes? What do you think, why? I think, to be honest, there’s always kind of inflation in terms of the numbers of MVPs. There are always some people whose careers change, their personal circumstances change. They’ve done a lot of great service, but maybe haven’t done anything in the previous year. And the thing that Microsoft are always very careful to say about the MVP award is that it’s for community work in the previous year. However good a name you’ve got, you’ve always got to think how much community work am I doing, have I done in the previous year, so it’s inevitable that at some point there will be people that drop out and I think maybe Microsoft had been quite kind in the past, and this year there’s a very high bar that’s been set, there are people who do lots of great work. Maybe it’s time to thin out the ranks a little bit, give some new people who’ve done a lot of work an opportunity. I’ve not come across anybody who’s bitter about losing their MVP award, most of the ex-MVPs that I know have been very grateful for their time and understand why they weren’t re-awarded. It’s gonna happen to everybody, one year it’s going to happen to me, so I’ll go and just take each year as it comes and I’m just grateful for what I get. 12 years as an MVP. It’s an interesting question. I think I do a lot of speaking and, as a result, the way… because I’ve got a lot of experience speaking, it’s changed the way that I would prepare for a speech. So when I first started speaking, you would put together a slide deck and then I would practice, practice, practice over and over again. Nowadays, I never run through a session until I actually do it. I’ll put together a slide deck and then I just have a gut feeling of roughly how long it will take. Probably prepare more material than I’ll need, but then be able to drop things out depending on how the timing’s working, and then, I don’t know, personally I feel like any kind of speaking session should be fairly natural, which is why I don’t want to prepare too much. I feel like now I can speak to a set amount of time, so long as I have the structure of the presentation prepared and the demos prepared, and I spend a lot of time making sure my demos work. That can be a lot of prep time. And I will always spend at least the hour immediately before a session going over my demo, my deck, so I know how everything’s structured and how all my demos should work. After that, I feel like I can just fill in the blanks and speak. But I think it comes with experience. I think in a way also I found that being an experienced speaker sometimes makes you a bit lazy, and it makes you think you can get away without preparing as well as you should and as a result, sometimes you don’t do as good a job as a speaker as you know you can, because you’ve just not bothered to prepare as well. So in the last couple of years, well maybe a couple of years ago, I found I was doing a bit too much and then I decided to kick myself up the arse and make sure I did properly prepare everything. I don’t want to be the person, who can speak and make it, but then not really have any good content. I want good content as well. That would be a very good question, next one. There are many conferences or events these days. How often do you speak? I would say at least once a month, possibly more than once. I always like to prioritise events in the UK and events during the week. I travel a lot for my work and so it’s very difficult to justify being away from home at weekends. So I don’t actually do that many SQL Saturdays, I prefer to do evening user groups. I do evening user groups in the UK, because then I can just take it… I’m self-employed, so I can have a day off, do some admin in the morning, drive to the user group in the evening, do the session, that’s fine. If I’m travelling for work, then I will actively look out for local user groups, so I can speak. And if I’m away it’s a choice between speaking at a user report or watching movies on my phone in a hotel room on my own. So speaking at a user group is going to be a lot more fun than that. That’s good news for a lot of leaders of local user groups. Well, you know, I’ll go out there and ask them. So where do you publish your calendar? Actually, I’ve literally only done that in the last month. I’ve added a page to my blog, because it suddenly occurred to me that I probably should list all of the events that I’m speaking at. So after this, three days of Data Relay in Birmingham, Reading and Bristol in the UK. The next thing I’ve got is I’m doing a remote presentation for the North Carolina user group. I think on the 23rd of October, then I’m going to do the PASS Summit in the US. I make exceptions, there are some things that are so important, I’ve got to travel for them. But the PASS Summit is obviously the kind of top of the tree for speaking in SQL Server and if I get accepted, then I’m going to want to go to that. And then, after that, I’m doing a remote session for the Icelandic user group, I think in November as well. And then I can’t remember after that. Probably SQLBits. I’ll be going to SQLBits next year. I’ve just submitted, so hopefully I’ll get to speak there. Absolutely, you will. So how about your work-life balance, how does it work for you? Well, that’s the thing. I mean, being self-employed, there is a delusion of being in control of your own destiny when you’re self-employed. What actually happens is that when you’re self-employed, you realise you’re responsible for bringing the money in and there’s nobody else that you can rely on. You’re more likely to accept work when somebody offers it to you, which then means you’re just more likely to kind of overwork yourself. I mean the other thing that I do is I travel an awful lot and you have to offset that as well. So that kind of goes back to what I was saying, trying to avoid doing anything at the weekends. Trying to make weekends family time. And also because I’m self-employed and only do these short-term engagements, actually I don’t get any work very much in August, because everybody’s away on holiday. So I just make sure I take pretty much the whole of August off to go on vacation, to spend time with the family. And similarly there are other times of the year, like the couple of weeks over Christmas, nobody ever does any work, so that’s holiday for me. I mean, I suppose if I was to list a number of actual days holiday I have, it’s quite generous, but then you count in all of the evenings I spend working, all of the Sunday evenings that I’ll be travelling somewhere, so I can be on-site to work on a Monday morning. I have a lot of holiday, but I do a lot of work as well. What does it look like during the week? Do you have some schedule like I’m working from 8:00 a.m. to 4:00 p.m.? It’s nothing like that, it’s completely all over the place. For this week for example, on Monday I was on site with a customer, doing some training for them. It’s actually one out of five days of training but the five days are all split up, so that was about an hour and a half away from where I live, so that was an hour and a half’s drive, full day of training, hour and a half’s drive home. Then, in the evening on a day like that, I have to spend at least an hour doing emails, catching up with things, answering people who’ve asked me about more work, so you know, got to catch up with those things. Then on Tuesday, I had a half-hour call with a prospective customer at 9:30, and then at 10 o’clock, I was on the phone with another customer for an hour dealing with a Multidimensional MDX problem. Then I went to take my wife to our hospital appointments in the middle of the day. And then, when I came back, I had about 45 minutes on the phone with another customer. And then in the evening it was like “oh I’ve got Data Relay the next day, I’d better look at my slides and practice my demos” and things like that, so that was me in the evening. It’s completely non-structured. I don’t say that I’ve got kind of working hours and non-working hours. It all just blurs, unfortunately. Which is not a good thing to say. Yeah, but it is what it is, yeah? Yeah, it is, and I’m not gonna ever complain about the job that I’ve got. I get a lot of very interesting work, I really enjoy what I do and I get paid for it as well, so I would never complain about what I do. I’m very, very lucky. Would you recommend that type of work? Yeah, I mean I would say that one of the big downsides is that being a single person company, you don’t have colleagues, you don’t have somewhere to go during the day. There is just you on your own and sometimes it gets a bit lonely, you know, there’s no Christmas party, there’s no hanging around chatting with people at the water cooler. There are customers I see reasonably frequently and then I’m friendly with them, but it’s not anything like a relationship you would have with a colleague at work, where you’re sitting next to somebody all day, every day and you can just have a chat with them. When somebody’s a customer, you’ve got a different relationship, you’ve got to be a little bit more professional, you can’t get out your phone and start playing a game or something in the middle of the day. You’ve got to take lunch when they want to take lunch. So yeah, it does get a bit lonely. Like I said also, those kind of lonely hotel rooms on a Wednesday night in Copenhagen, when you’re there on your own. There’s nobody to have dinner with, there’s nothing to do but emails. I always make sure I call my family at 7 o’clock every evening when I’m away, so I can at least have a chat with them, but it is quite a hard lifestyle, all the travel and all of the being on your own and always being customer-facing. I heard that sometimes it helps if you go to work to the public places. Did you practice that kind of thing sometimes? No, because I like a bit of comfort and if I’m in a public place, I think what it does, working in a public place, is it puts you on your best behaviour. It means you concentrate more on work and do less browsing. But actually I think I’m fairly well disciplined anyway. I don’t have a problem doing the work in the evenings. I always, like I said, end up spending an hour or so, at least an hour or so doing stuff. But it’s just, you know, you’re doing it on your own and I’d rather be at home with my family rather in a hotel room on my own. How long have you been working on the market as a consultant? When did you start with your company? That was 12 years ago when I set up. I didn’t really think too much about it. When I think back to 12 years ago, I probably think “wow, God”. I didn’t even realise what I was doing, but I was in my last perm job, it was the usual story where a lot of stuff had been offshored and I’d still got my job, but I wasn’t doing… you know, in the future I wasn’t going to be doing any hands-on work. I was just gonna be writing specs. And I like the hands-on technical stuff, so I thought “it’s time to go” and I thought “well, I’ll just set up a company”. I’d already been blogging for a couple of years, so I thought “well I’ll just put something on my blog and say that I’m available to do consultancy work and if the work comes, then great. If it doesn’t – well, I’ll just go and get a contract and work for six months a year like contractors normally do.” And then, in the first month, I had a couple of days of work, it worked out pretty well, and then it just built on from there. So I was just very, very lucky and I’m glad that it worked out for me. I think it helped that I already got my blog. That allowed the kind of publicise myself and get the work that way. Yes, so you basically didn’t plan very well. You had a blog and for a couple years before, but generally you didn’t plan it. Exactly. I think nowadays you go to, well, I think at the PASS Summit this year there will be a session on building your personal brand, and there are some people, for example Brent Ozar who does a great job, a very, very professional job with his personal brand and everything. And my marketing efforts are nowhere near as good as that. But at the end of the day, the personal brand doesn’t make you any money. It’s the work you actually do that makes you money, and the personal brand, any marketing activities you do, ultimately, you’ve got to do enough to drive work to keep you busy. If you spend your whole time making your blog look pretty or getting some great avatars and things together, or doing podcasts, then you don’t have enough time to actually make the money. Maybe this is just another way how to achieve the goal. But I don’t agree that you don’t have the brand. You have your blog and I think your blog is very nice. Exactly. But there are lots of other people out there who blog, who do YouTube videos, who do a much slicker job than I do with their personal branding. But again, I kind of see it as a means to it. Maybe I’m just lazy. I’m not very good at making things look, making YouTube videos or making nice-looking websites, or something like that. I think you are just focusing on different things. I know I just do the things I do. It’s worked in the past and hopefully will work in the future. If I find something interesting, when I’m doing my kind of day-to-day job, I’ll blog about it. It serves as marketing, it also serves as a way of helping me remember the things that I’ve learned, because if I didn’t write it down in a nice structured, central, easily searchable way, I’d forget about it and then the next time somebody asked me the same question, I’d think, “oh, I used to know that” but then I’d have forgotten. I am the number one person that hits my blog. I google for myself several times every day just to look up the stuff that I know I’ve written down, but I’ve forgotten otherwise. All the traffic is from me. And a lot of the time I’m googling for something and I’ll find one of my blog posts, and I forgot I’d even written about it. Which is very good! So, what is the recipe to achieve the success if you have your own company? I wish I knew. I think the only recipe that I’ve got is I do what I do, it works for me and it’s just worked out. So much of it depends on you, your personality, what you enjoy doing, your own particular strengths and weaknesses. A recipe that works for one person probably wouldn’t work for anybody else. But I don’t know, I mean there’s some standard good business things, which means that if somebody emails me asking about some work, I’m going to hopefully reply to them within 24 hours and get back to them. If somebody wants me to turn up to do some training, I make damn sure that I’m going to turn up and be there on time to do the training and do a professional job. The best way to build a business is to get satisfied customers who then come back to you and give you more business in the future. And it’s the same whether you’re running an IT consultancy or training business or whether you’re running a restaurant, or whether you’re running anything else. Getting the customers is the hard part. The way you build a business is get new customers but also keep the existing customers coming back. You do a bad job, you’re going to be in trouble. So we are perfectly flying to the next question, the last one. Are you a perfectionist? No. Actually, maybe in some things I’m a perfectionist, but I would say, in general, no. I am the opposite of a perfectionist. I like to find a solution to a problem, but in my personal life, if you saw my office at home, it is incredibly messy. Some people have this perfectly clean, well-organized personal office with four screens, all arranged for maximum productivity. That’s not me. I’ve got a knackered old office chair, I work off my laptop half of the time, ‘cause it’s just easier. You don’t have any external monitor? I do, but I don’t use it most of the time. I just work off my laptop. I’m surrounded by mess. I know where everything is, you know, I’m one of these kinds of messy, creative type people. But I’m not going to spend time optimizing absolutely everything. Give me an MDX calculation though, you give me a bit of M, I do like to make sure my code is nicely indented. There are a couple of things, especially about MDX, which I’ve been doing for years, where I like to have my MDX written in a particular way, because I know that just works. And it’s not just a kind of OCD thing. I’ve seen lots of cases where people will write something that seems okay, but it’s not the way I would have written it. And it just doesn’t work properly or it doesn’t perform well. And then, when I write it the way I would have written it, it works well, you then get to the bottom of it and find that actually there was something weird going on in the engine. But I just have a set way of doing things that I like, because I know it’s worked well in the past. And I’ll make sure I do it the way I like it. So I’m not necessarily perfectionism, but I like to do a good job, clean code and deliver something that’s good quality. And we can see it during your presentations, absolutely. So at the end of our conversation, tell us where we can find you. So, on Twitter I am @cwebb_bi and my blog is blog.crossjoin.co.uk and my website, if you want to hire me for consultancy and training is www.crossjoin.co.uk. Okay, thank you very much, Chris, for this conversation. Thank you very much, it’s been a pleasure.